Line stage features very rare "Ba" directly heated triode in plate choke loaded + capacitor coupling. Plate choke value is more than 250 Henry. 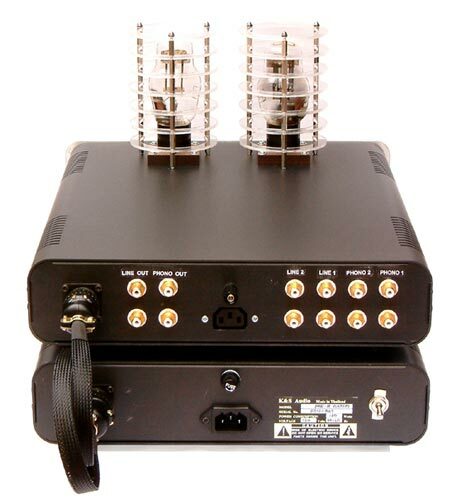 MM phono stage incorporates 5755 twin triode and 6072 to provide total of 45dB in gain and perfect RIAA compensation with less than 0.5dB deviation. Separate power supply unit has 3 separate power transformers. Each one feeds separate regulated circuit. 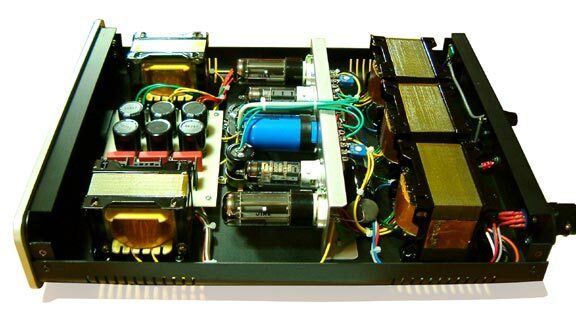 (fully tube regulated circuit x 2 to provide independent stable and noise free power sources to phono stage and Ba line stage. 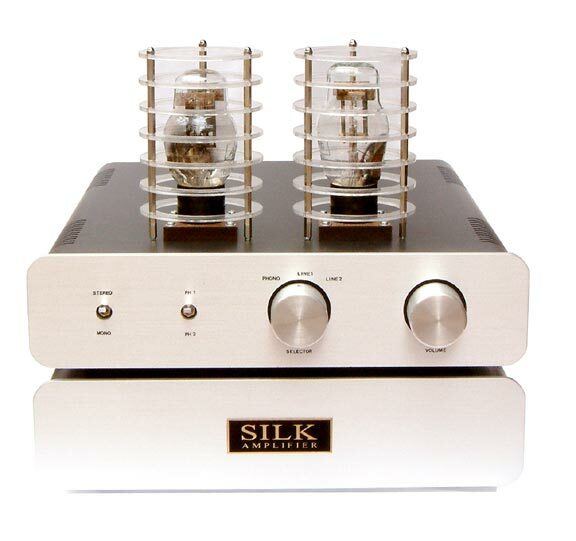 All filament supply of Ba tubes and phono stage are also tightly regulated via three regulated power supply). There are two 20 henry DC choke filters to further assist the tube regulated supply circuits. Two units are connected via industrial grade power connector (10 pins total) to provide electrical safty and minimum interference. 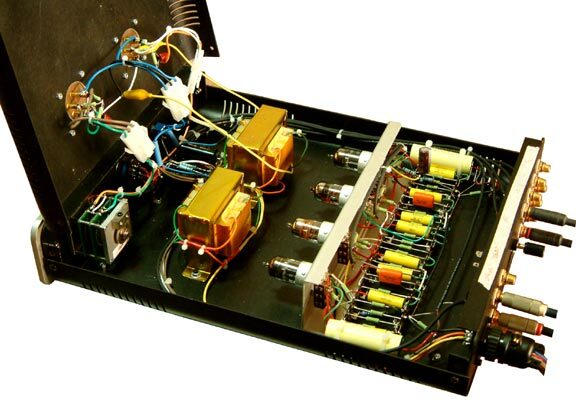 The MM phono stage is made with point to point method of wiring technique. Ba line stage is also use special plate choke instead of regular resistor loading. The power supply unit is very heavy (20lbs) and very well layout. All five transformers are copper shielded and mounted in such a way that they won't cause any interaction.